The first thing anyone committed to weight loss usually does is to cut down on sugar, followed by making the switch to artificial sweeteners. These artificial sweeteners are promoted as a healthy alternative to sugar because they give a sweet taste without caloric intake. It’s almost a no-brainer to consume a drink without calories than to gulp down 150 calories. Several studies have validated that artificial sweeteners are actually harming your health and doing the opposite of what you expect them to do. In one research study conducted in the US, people who drank 2 full sugar drinks per day increased their chances of gaining weight by 33 percent over a period of seven to eight years. However, on the contrary, those who consumed diet alternatives developed a 65 percent risk of obesity. A common concern with the use of artificial sweeteners is that with fewer amounts, you feel a sweeter taste compared to an equivalent amount of sugar. So a frequent use of sugar alternatives may create intolerance for naturally healthy and sweet foods such as fruit and make consumption of unsweet foods intolerable. As you start to develop a taste for artificially flavored foods, you tend to replace your diet items with those foods and turn away from naturally healthy and nutritious foods. Over a period of time, this behavior obviously results in adverse health effects. Recent discoveries are indicating that artificial sweeteners change our gut microbiome. Scientists have discovered that our gut bacteria affect our health so if it’s disrupted by artificial sweeteners it makes sense that they would affect our health and weight, too. Not all artificial sweeteners are created equal, and if you’re limiting your caloric intake by consuming sugar alternatives and diet foods, chances are you’re replacing those calories with other sources of food, eventually leading you to consume more calories on the whole and making you fat. When you consume natural sugar, which has calories in it, our body receives the signal that sugar is on its way. By consuming artificial sweeteners, you trick your body because although you’re consuming a sweet taste, no calories reach the body. It gets utterly confused and thus makes you crave for sweeter food. Artificial sweeteners are tricking your brain and sneaking fat onto you, it’s time to take action? Replace artificial sweeteners with natural sweeteners like raw honey or a small amount of coconut sugar. They both have calories but are natural. I usually get a local brand of honey so that we also get the benefits for our immune system to fight allergies. 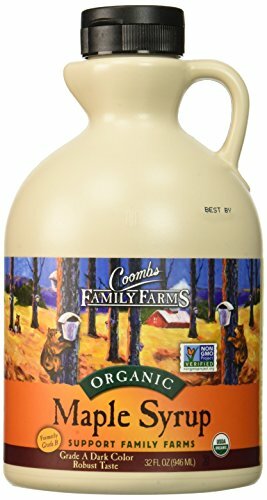 Of course, you’ve got to have maple syrup for your pancakes and we love Coombs Family Farms brand. I use natural Stevia in my coffee because I don’t really care for the taste of honey in my coffee. If you use stevia make sure you use a high-quality brand that doesn’t contain fillers. 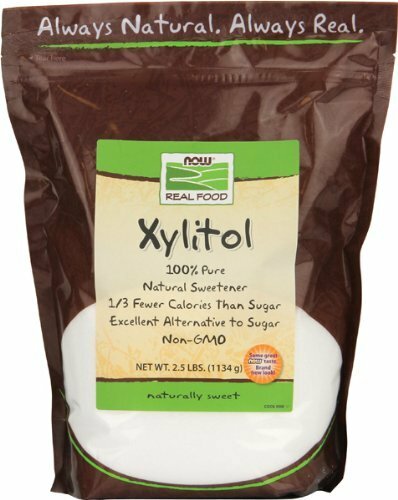 Sometimes I use xylitol or coconut sugar instead of honey in baked goods when I don’t want the honey flavor. Your best bet if you are dealing with any health issues is to wean yourself from even natural sweeteners until you rebuild your health. Where Can You Get Stevia, Coconut Sugar or Xylitol? There are many brands on the market and everyone’s tastes buds are a little different. I’ve had friends who don’t like certain brands of stevia because they say they are bitter. My favorite stevia is Kal Organic Powdered Stevia. 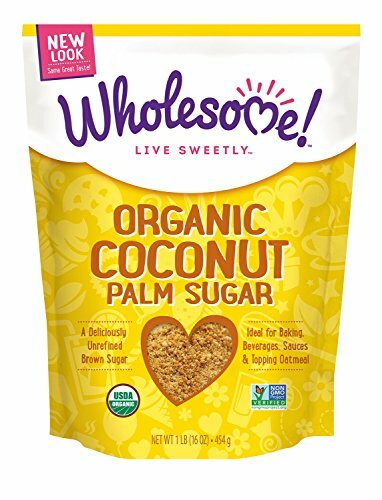 I always have on hand Now Brand Xylitol or Wholesome Coconut Sugar for baking. If you’ve been artificial sweeteners you’ve probably accumulated toxins that may be keeping you from feeling your best. You may even be holding on to fat. I recommend the Isagenix 30 Day Cleansing System to help your body release toxins and get the nutrition you need to stay healthy. 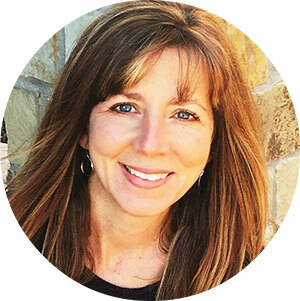 Read more about the Isagenix Cleansing System.